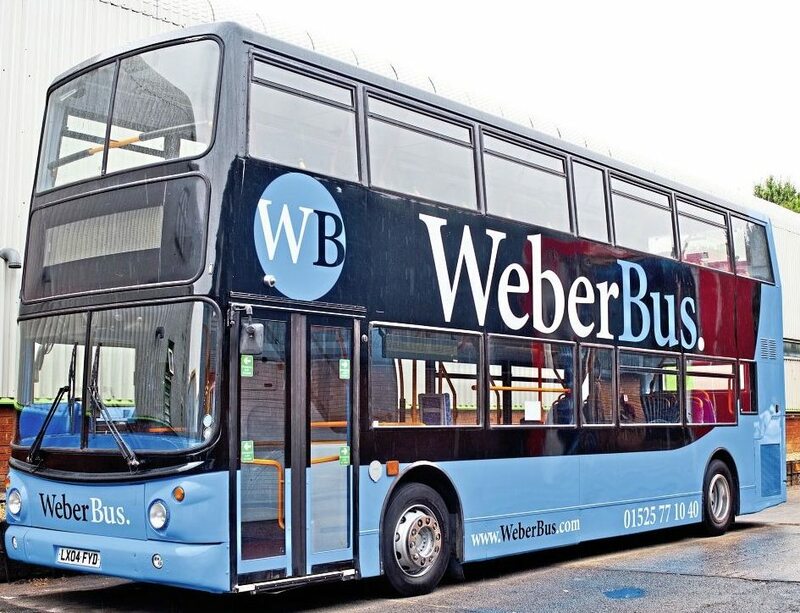 WeberBus will be a name that’s new to you. In fact, it’s also new to its owner. Tom Weber is about to embark on a career as a bus operator. Mark Williams went to meet the entrepreneurial 29-year-old just weeks before his bus runs begin. Tom Weber is justifiably proud of the 2004 Dennis Trident standing outside the Grant Palmer depot in Flitwick, Bedfordshire. The paintwork is immaculate, the blue and black colour scheme striking and classy… and the name on the side is Tom’s. In a few weeks, the ‘decker will make its first run with Tom at the wheel. He’s created a bus company. I can almost see experienced operators shaking their heads as they read this. Tom’s just bought into an industry which specialises in early mornings and late nights, worries and paperwork, with a garnish of customer complaints and unreasonable hire rates. But it’s what Tom has always wanted. Tom tells me as we talk in his office, otherwise known as the second row on the lower deck. “The closest I came to buses was going to school on one – actually, going to school on a Grant Palmer bus. Tom (who prefers his surname pronounced ‘Weeber’ by the way) drove buses from then onwards, but also got involved in the office with marketing and timetabling and even the workshop: “It was always with the idea in the back of my mind that I’d run my own bus company,” he said. Tom’s an inveterate saver, he says, and clearly a modest man with few vices – aside from a cherished ex-police Vauxhall Vectra – put aside every spare pound. He also found himself scavenging bus bits from scrappers, just in case they might come in useful. He stayed three years, then left in April: “That was really hard. Shoreys wanted me to stay but I’d decided it was time to do my own thing.” That ‘thing’ was already in process, and the leg up which everyone needs to launch a new business was provided by Grant Palmer. Grant explained that his company is increasingly avoiding schools work, which is a poor fit for a business which now runs more than 30 service buses on a network of Grant Palmer local routes. 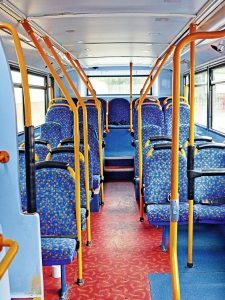 The plan was that Grant would hand over a commercial schools bus service they had – the 825, which runs to Sharnbrook Upper School from Clapham – and the bus being used on it. Grant would also stable the vehicle and maintain it for Tom. 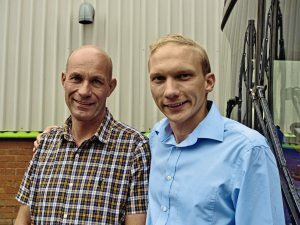 Tom also built a website, for which his dad, David (a graphic designer) created the logo and colour scheme which would also livery the bus. With a touch of ingenuity, Tom made it possible for pupils and parents to pay for period passes on-line, with one click to PayPal. The website, complete with his dad’s graphics, provides a downloadable information pack plus timetables. Tom built the website himself using a toolkit provided by www.123-reg.com, and very smart it is, too. It plays to the children who will travel with him but he also leafletted all the passengers at the end of term so they had something to take home for mum and dad, and the result has been that the majority of the term passes – which Tom manages himself – have now been bought for the autumn term. 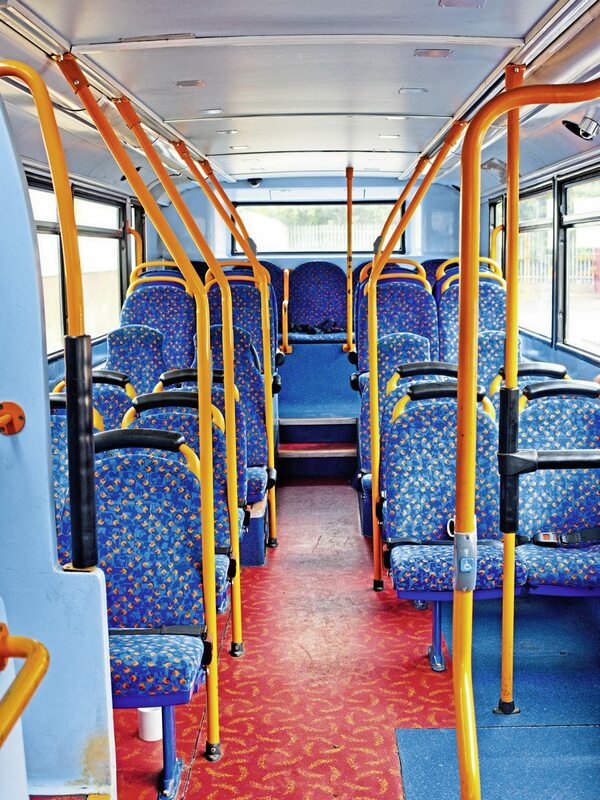 This summer has been spent getting his bus up to scratch, with the usual demands for CCTV, seatbelts and wheelchair space, all of which carried over on the vehicle. However, Tom did find he needed a ticketing system for the limited number of passengers who pay cash to board. He rummaged through his stock of scavenged bits and pressed a Wayfarer 2 into service. 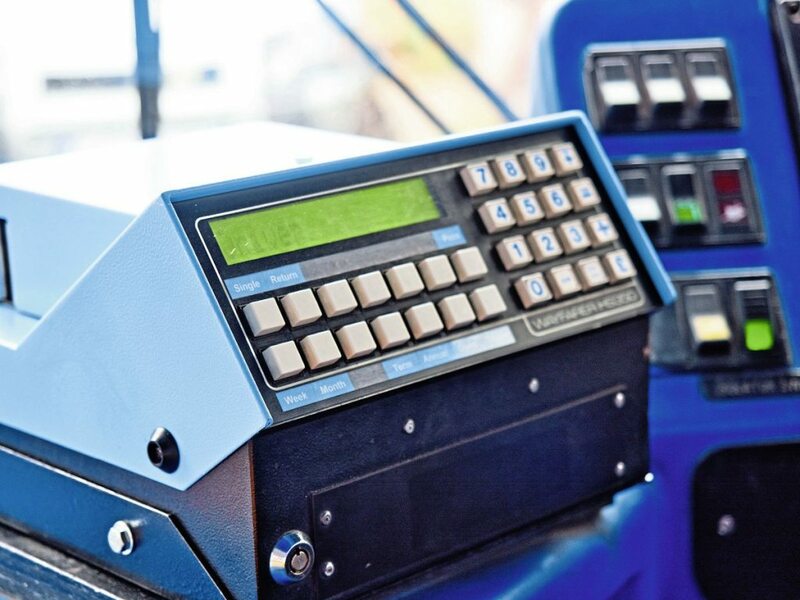 As you’d expect with someone so fastidious, Tom has already run the numbers on a spreadsheet and calculated that, with all the schools fares in, he covers all the fixed costs of running the vehicle. The next stage will be filling the rest of the day with additional hire on which he should see a good profit. He’s already had enquiries for swimming trips and the usual gamut of school work, and that also suits Grant. Tom strongly makes the point that he won’t be running before he can walk, but is planning ahead to get his second disc on a bus screen at some time: “Employing people brings a lot of extra paperwork,” he says. But if he wins another contract, he’ll bite the bullet, in the knowledge that that there’s an economy of scale in employing a second or third person. By that time, he thinks, he’ll be in his own premises. 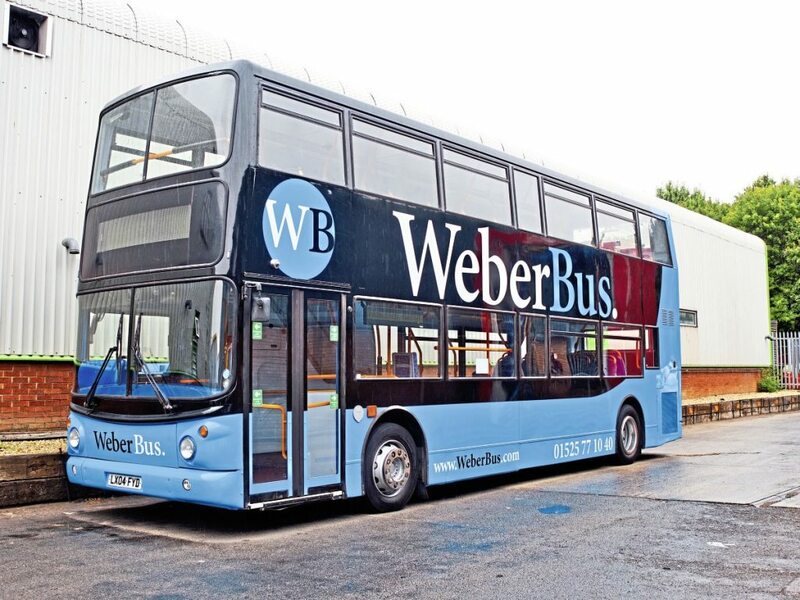 For now, WeberBus will be based at Grant Palmer’s premises as Tom finds his feet. That gives him access to its impressive workshop facility and bus wash as well as parking. The sparkle in Tom’s eyes suggests to me that he can’t wait to get going . . .
Tom’s among many young people in the bus and coach industry who deserve our support, and the part Grant Palmer has played in Tom’s budding career cannot be understated. Maybe Grant saw something of himself in the young lad who started work with him before he’d hit 20 years old. Nine years down the line, as Tom starts his bus company, I got the feeling that Grant is proud of him. He should certainly be proud of his contribution to Tom’s career. There are youngsters like Tom throughout the industry behind a steering wheel, in the workshop or behind a desk who deserve our support. Please nominate your young people for a Pride & Joy All Stars award, and we’ll feature the winners in this magazine. (www.facebook.com/PrideandJoyAllStars) and send us a message about them. B&CB and Pride & Joy Clothing will do the rest. Incidentally, if you want to know how Tom gets on, stick with us. Tom has agreed to do a monthly blog of his progress, and perhaps you can help him out with a few hints and tips.